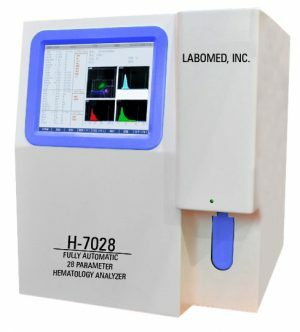 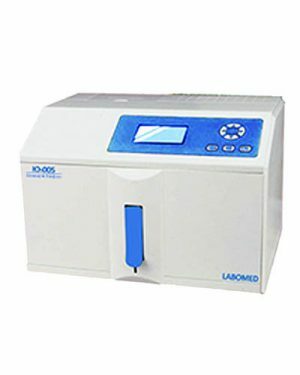 [FACA-301] FACA-301 Fully Automatic Chemistry Analyzer with 300 Tests per Hour and Barcode System - Labomed, Inc.
FACA-301 is a reliable automatic biochemistry analyzer with varying testing capacities. 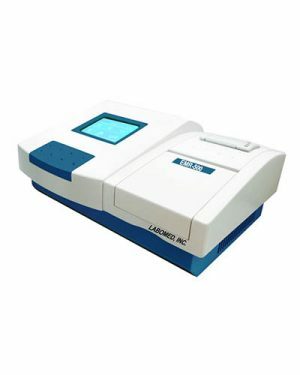 Among the many features of this product, FACA-301 comes with a training video to help with the installation, operation, and maintenance of this biochemistry analyzer. 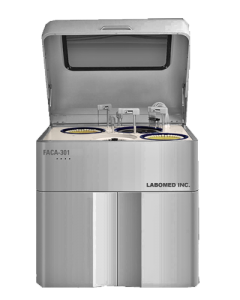 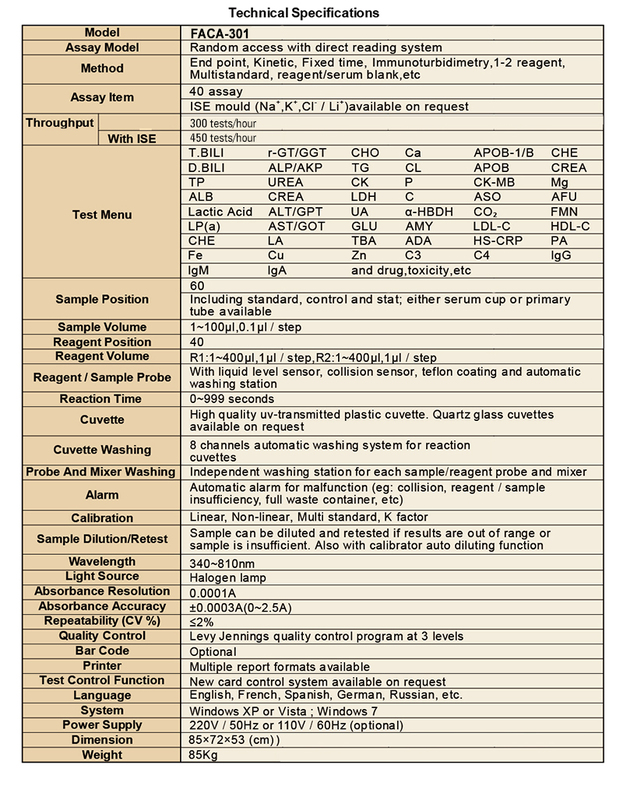 FACA-301 facilitates automatic washing for both sample and reagent probes, liquid level detection and collision protection for both sample and reagent probes, and reads serum and urine samples.